Colts wide receiver Deon Cain joins Matt Taylor on today's daily update to discuss his rehab from a torn ACL and how he's approaching the upcoming season. The 2019 Colts schedule is out. Matt Taylor, Andrew Walker and Caroline Cann break down the toughest stretches, and point out which matchups are most interesting. The Wednesday Colts Daily Update is loaded up with Matt Taylor going one on one with Colts receiver Zach Pascal, Colts radio analyst Jim Sorgi and draft insider Dane Brugler from The Athletic. Nyheim Hines joins Matt Taylor in studio on today's daily update to discuss how his off-season went, where he developed in year one, and where he wants to improve in 2019. The 2019 NFL Draft is less than two weeks away, and Matt Taylor goes in depth on draft discussion today with Eric Edholm, NFL draft insider from Yahoo! sports! We break down the draft scenarios for the Colts with the 26th pick in the first round with Caroline Cann, Andrew Walker and draft insider Jake Arthur of Colts.com. Which players can break out in 2019? Caroline Cann and Andrew Walker discuss some of the under radar players that can have a big impact for the Colts in 2019? 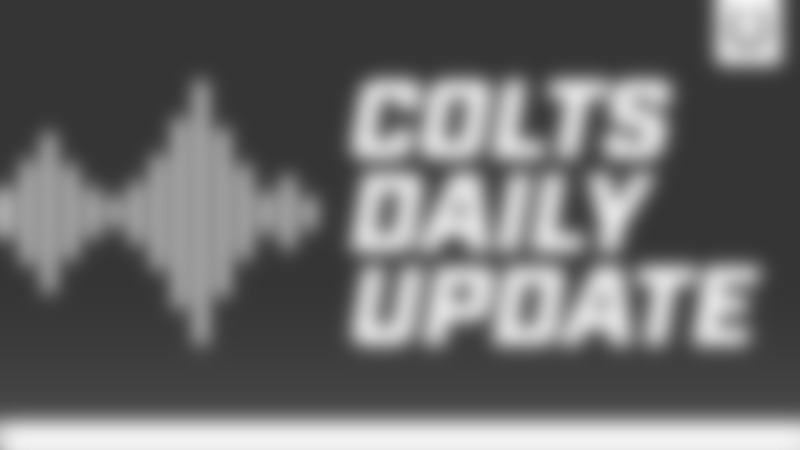 Caroline Cann and Casey Vallier discuss the impact that continuity will have on the Colts in 2019 on today's daily update. Matt Taylor previews the draft and recaps the first wave of free agency with NFL insider Vinnie Iyer from the Sporting News. Andrew Walker and Matt Taylor discuss the signing of safety Derrick Kindred on today's daily update. On today's podcast, Andrew Walker and Caroline Cann discuss Frank Reich's goal of the Colts being a top five rushing team in 2019. On today's daily update, Matt Taylor and Andrew Walker break down which players might be in line to get contract extensions this off-season after the draft. Joe Marino, draft insider from the Draftnetwork.com joins the podcast today with Matt Taylor to preview who the Colts might be targeting in the early rounds. Matt Taylor catches up with Colts.com writer Andrew Walker who's been covering all the Colts' happenings at the NFL Owners meetings this week in Phoenix, Arizona. Matt Taylor and Casey Vallier break down the signing of Justin Houston and what that means for the Colts defensive line in 2019. Matt Taylor breaks down the Colts free agency moves so far, and the fact the Colts are building around a solid group of young players heading into 2019. Caroline Cann sat down with Anthony Walker in Miami to talk about what he has been doing this offseason and looking forward to the 2019 season getting underway. Andrew Walker and Casey Vallier, filling in for Matt Taylor, discuss Andrew Luck heading into the offseason healthy and the impact it has on the organization. Andrew Walker and Casey Vallier, filling in for Matt Taylor, discuss the first full week of NFL Free Agency and how the players available could fit with the Colts. Andrew Walker and Casey Vallier, filling in for Matt Taylor, discuss the Colts Cornerback position following the recent re-signing of Pierre Desir. 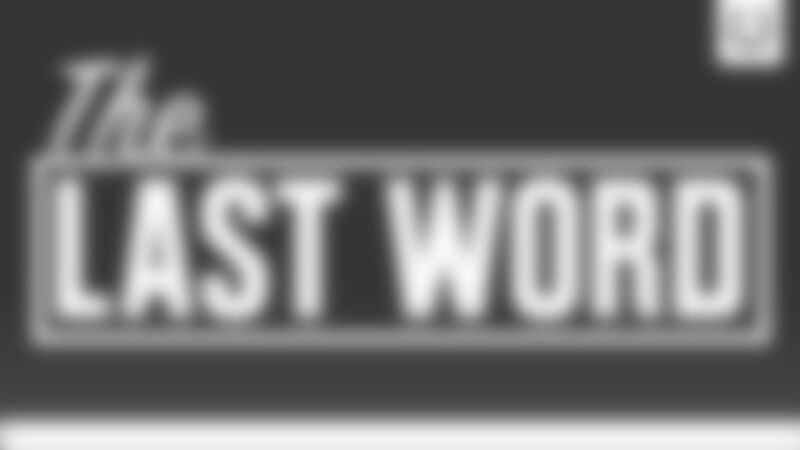 Matt Taylor catches up on player movement in free agency and how that affects the draft with Luke Easterling from The Draft Wire and USA Today. Matt Taylor and Andrew Walker discuss the start of free agency and the rumors surrounding the Colts heading into the NFL new league year. Andrew Walker and Matt Taylor discuss where the Colts could find edge pass rushers this off-season on today's daily update. Matt Taylor talks with Colts tight end Ross Travis, who was recently brought back in free agency, to discuss his rehab, missing all of last season, and the excitement to return to the Colts. NFL salary cap expert Joel Corry from CBSsports.com, who is also a former sports agent, joins Matt Taylor on today's podcast to dispel some myths and misnomers about NFL free agency.